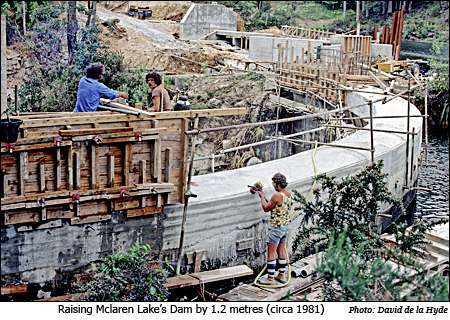 In 1982/1983 the level of Lake Mclaren was raised by 1.2 metres to increase the storage capacity for hydro-electric generation. 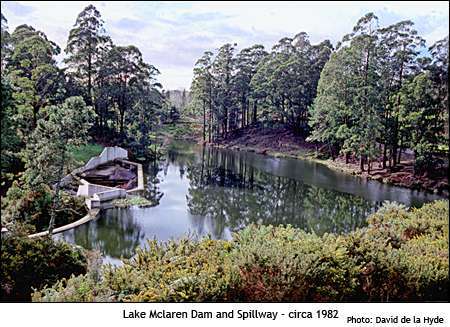 Over fifty years of silting had reduced the capacity. 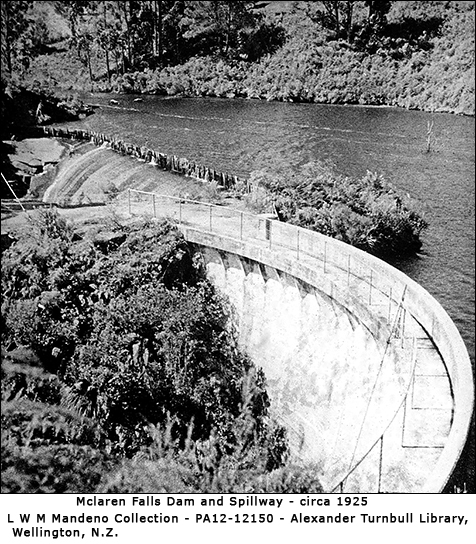 The existing dam was strengthened, and the spillway raised to the same level, so now both act as a spillway. 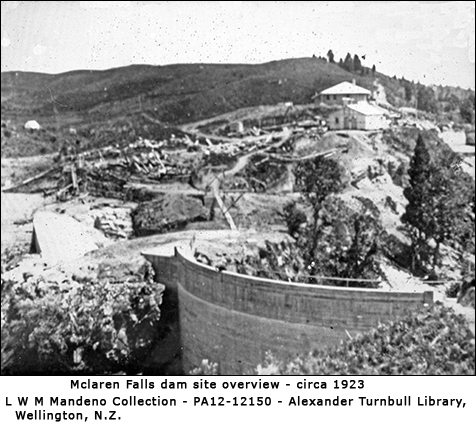 In the base of the dam where the rectangular block of concrete can be seen in the picture at the left, used to be a large drainage valve. 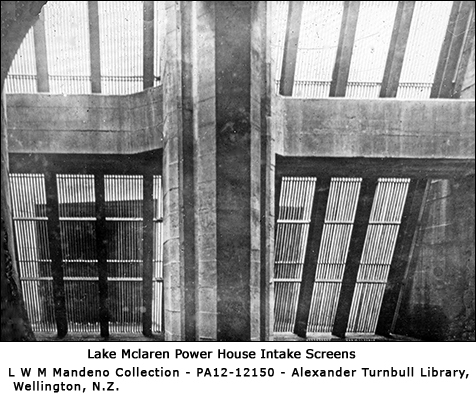 This was concreted in. 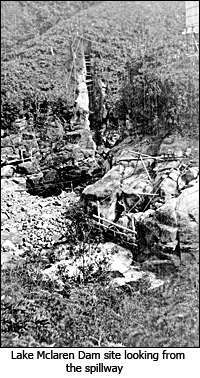 In the accompanying photographs it can be seen that the ryolite rock formations were deeply fractured. 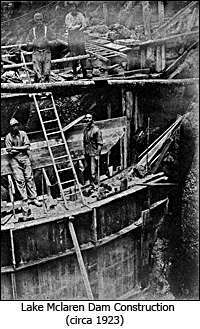 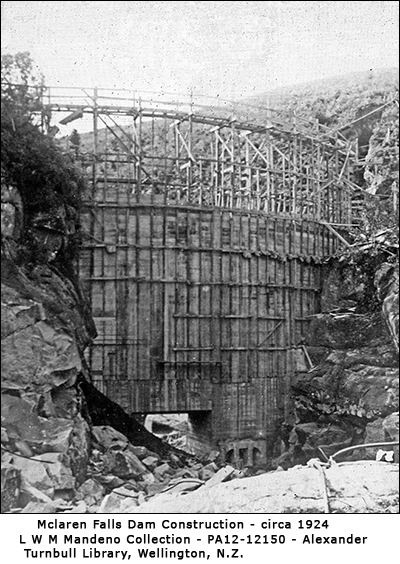 When the redevelopment of the dam/spillway took place numerous rock bolts were put in place together with extensive grouting to strengthen the structural foundation. 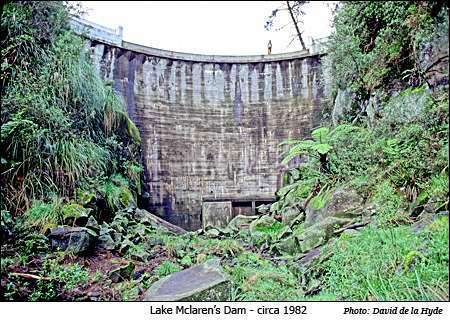 The arch dam in its original state was 24.5 metres high. 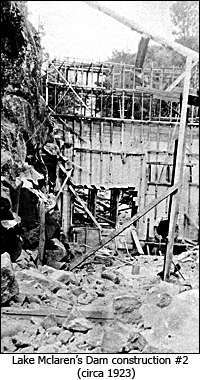 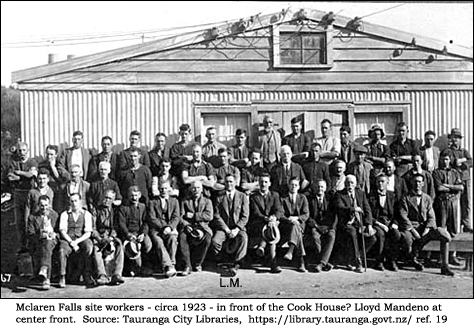 The wooden formers to hold the concrete used in its construction can be clearly seen, in the photos on the right.